Product categories of Copper Bolt Clamp, we are specialized manufacturers from China, Copper Bolt Clamp, Copper Split Bolt Clamp suppliers/factory, wholesale high-quality products of Split Connector Bolt Clamp R & D and manufacturing, we have the perfect after-sales service and technical support. Look forward to your cooperation! T/J Copper Bolt Connectors is suitable for the sequence and transportation of all kinds of conductors in electric network. 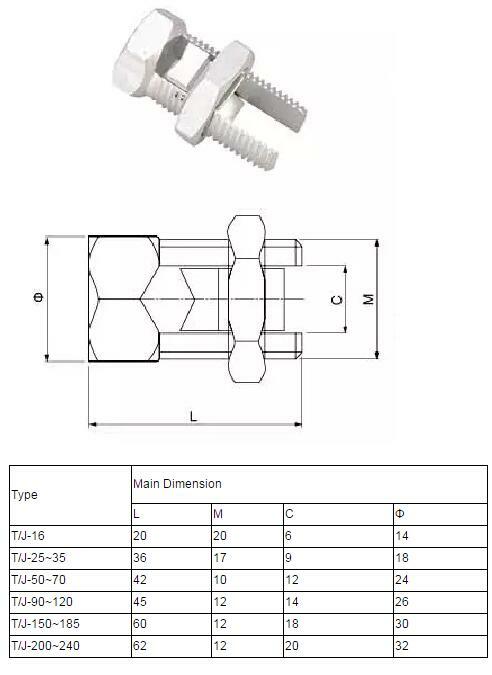 1) T/J Copper Bolt Connectors availabe size from 16mm2-240mm2. 2) Hexagonal type head or customed as per drawings or sample. 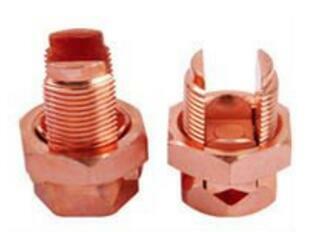 3) Imported copper wire clamp, made of brass H62 by die casting.